China's climate change policy: greener growth? Transforming climate policies will grow a greener China, write FRANK JOTZO and YONGSHENG ZHANG. 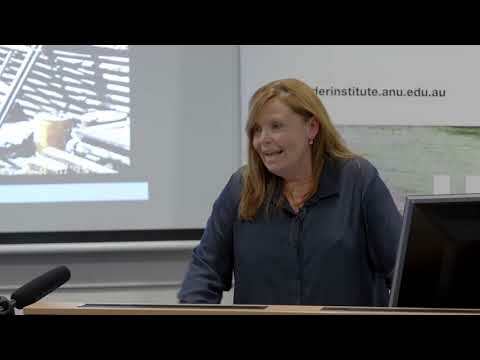 How government, academics and non-profit organisations can work together to address the crisis of homelessness will be the subject of a major speech by Crawford's Professor Janine O’Flynn. Professor Peter Warr, Head of the Arndt-Corden Department of Economics, has been named as the new President of the Australian Agricultural and Resource Economics Society (AARES). The Australian Senate has set itself a tough task by choosing to evaluate the effectiveness of Australian aid to Afghanistan, write STEPHEN HOWES and JONATHAN PRYKE. Japan: an election for what or to where? Shinzo Abe may have won a decisive victory in Japan's general election, but behind the numbers lies disquiet about the country's future direction, writes PETER DRYSDALE. New research shows that exchanging money and goods for people's votes is rife in the Pacific and Indonesia. ANU Chancellor Professor The Hon Gareth Evans AC QC speech to AusAID Distinguished Alumni attending the Policy Choices for Vietnam Conference. The 10th anniversary of the Iraq war is a terrible reminder of a betrayal of trust and democracy, writes RAMESH THAKUR. The Hon Malcolm Turnbull, Federal Member for Wentworth and Shadow Minister for Communications and Broadband, gave this speech at the launch of the Asia & Pacific Policy Studies journal on July 19. Australia is stuck in the slow lane while other countries speed ahead in fuel efficient vehicles, writes PAUL BURKE.